Thanks to everyone who joined us for our 14th Annual 5K Reindeer Run/Walk! Archived results can be found here. We appreciate the volunteers, sponsors, and partners that made this event a success! Interested in volunteering? We could use your help on race day! Email Erin Jobe at reindeerrun@chathamkids.org for more info. Early Packet Pickup is for 5K runners only. Rudolph’s Fun Run participants will check in on race day at the start of the Fun Run. Teams: Please be prepared to pick up packets for your whole team at one time. We highly encourage teams to pick up packets during early packet pickup. 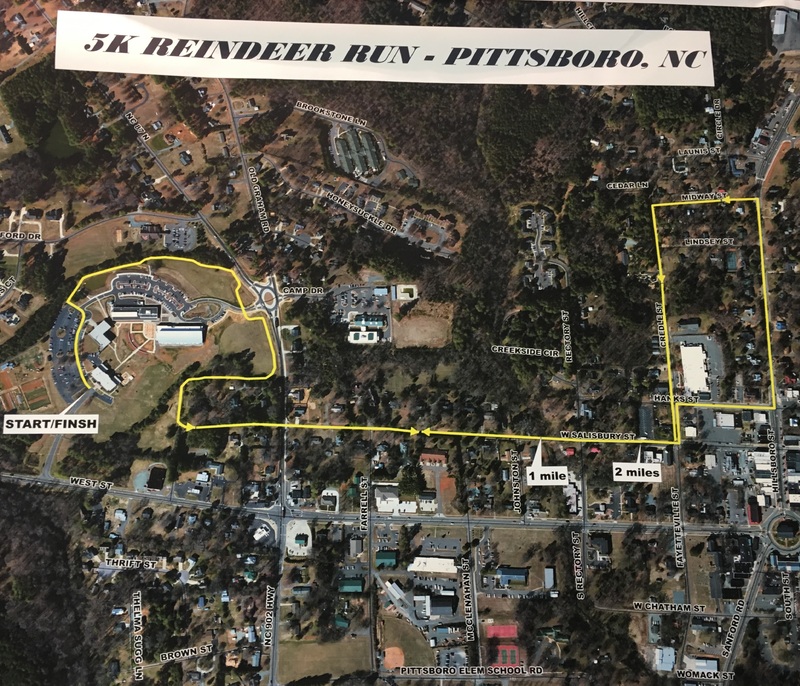 Rudolph’s Fun Run is a 1-mile run on paved trail for ages 12 and under. The Fun Run is free but registration is required. Shirts will be provided for participating children who register by 11/16/18. The Fun Run starts at 9:00 am in front of Building 2. Please check in at 8:35 am at the start area. Thank you to the local businesses on the right sidebar for their sponsorship of the 2018 Reindeer Run! We are seeking additional sponsors for the race! See more info on our sponsorships page. Proceeds from this event are granted to various organizations to promote healthy lifestyles in Chatham County! 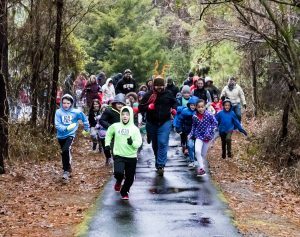 13th Annual Reindeer Run 5K & Rudolph’s Fun Run 2017 from Rhesa Versola on Vimeo. You don’t want to miss this fun event!! !